Although there are an endless number of topics that can be addressed in regards to what goes into writing a compelling story, today I would like to focus on the often overlooked topic of pacing. Admittedly, I may not place pacing above character, dialogue, prose, point of view or style (although I think pacing can greatly influence all of them) on the totem pole of story importance, but when used effectively, it can really enhance your story. One of the reasons I think pacing’s importance is often marginalized is due to the fact that people often mistake it for as the occurrence of action or the arrival of plot to usher a character along on a somewhat contrived journey. People interpret “your pacing is a bit off” as “there aren’t enough cars blowing up.” Somehow pacing is assigned this odd stigma as being a sort of gimmicky element of genre used to string readers along and keep them turning the pages. Those in this mindset unfairly confuse it as a means to bookend your chapters with cliffhangers and wedge action into every narrative lull. Pacing is much more than action though. It is the ebb and flow of your story. It is the pulse of your narrative. Even within literary fiction where there are generally few occurrences of car chases, dystopian zombie landscapes or alien invasions, effective pacing can be the key to great emotional payoffs. Do you have a laconic, somewhat internalized protagonist headed toward an impending meltdown? What would be more shocking? A pg 15 outburst or a simmering rage that cataclysmically erupts on pg 210? Truthfully, you can make either work, but if you are really looking for those big emotional payoffs in your stories, you are going to have to build up to such moments to earn them and when you arrive there, make sure the impact isn’t dulled by a sloppy flow. Even within the context of genre fiction (and arguably all fiction), pacing at the beginning of your story can be just as important. Do you start your story with immediate action, leaving out any context your protagonist’s situation, or do you take some time to set the scene and risk the dreaded information dump through heavy expositional passages? If you hit the extremes on either of these polarizing approaches, you run the risk of losing your reader within the first thirty pages. Just to further illustrate, let us say your protagonist is in a story where he is unexpectedly jarred loose from a comfortable and familiar life. For this particular narrative yarn, you could have the catalyst enter the protagonist’s life and force him out of his shell on pg 4, setting the plot in motion, but what did we really know of the protagonist’s old life from only reading pgs 1-3? Certainly, you can revisit elements of his old life as your character is propelled forward. He can meet people from his past and reflect on the life he once knew, but that requires a gradual release of exposition over time in bits and pieces. On the flip side, if you spend the first thirty pages establishing his life, routines, friends and family, and then have him jarred out of that existence, you have a better feel for what he is leaving behind, and as a result, what is at stake for him. The pitfall of this approach is that you can fall into a slow developing exposition heavy first section. So, how can you make sure the pacing of your story is in a good place? Well, one way is to sit down and outline your book. This will give you a broad sense of how your novel flows. You probably won’t be able to make too many declarative statements from an examination this broad, but it will give you a head start on isolating any problematic sections. Another approach is to go through each of your chapters and look for sections with long dialogue exchanges. This isn’t necessarily a red flag in itself, but you should pay close attention to these sections and make sure that they do not become long meandering diatribes. These are the sections where you run the greatest risk of losing the interest of your readers. I personally prefer to dive right into anything I’m writing with a little bit of action. However, I also suffer from the dreaded exposition dump, bringing any sense of established pace to a screeching halt. This always leaves my first thirty pages as something of a bloated mess. Not really a desirable place to be, but this is where the editing process becomes invaluable. It is within revisions that I am able to trim and redistribute information, finding some semblance of pace to begin the story. So, do not despair if you think the flow of your story is a bit uneven. Editing is a great place to tighten that up. Because I tend to write genre fiction, I actually do like the function of cliffhangers as chapter bookends (not for every chapter though, moderation is key). Cliffhangers and twists can be easily misused if you stuff the belly of your chapters with filler information and then try to rescue them by tossing in some unexpected cheap thrills to close. Utilizing this approach, you run the risk of having a notably hollow story strung along by unearned moments of shock and awe. But, if you can use cliffhangers well and you put time and effort into crafting moments of genuine surprise, these moments will pay off for you. Ultimately, I think pacing is about balance, flow and consistency. If you’re writing a thriller, you can’t count on 300 out of 307 pages of car chases and shoot outs to be an involving experience. You really have to work at the other elements of your story and pace the action, so that when your character is placed in a tense or dangerous atmosphere, we care about them. So, yes, you could argue that the other elements of writing (character, setting, dialogue) are directly effected by pacing in your story. Because they are. If you don’t take enough time to develop your characters, you will leave the reader disconnected or apathetic to their plight. And on the flip side, if you spend too much time developing your characters and don’t place them in any situations of dramatic tension, readers may tire of the experience. 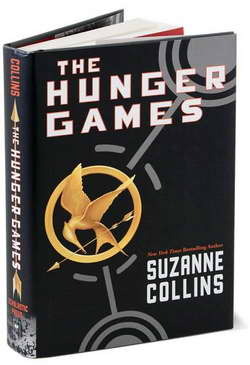 For an example of really effective pacing in a genre novel, I would cite Suzanne Collins’ ‘The Hunger Games.’ That’s a great example of a book that utilizes effective pacing without skimping out on the core elements of what makes a compelling story.